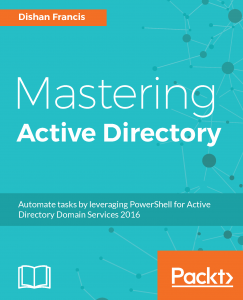 In today post lets look in to another DS command which we can use to administer active directory. Today command is "DSMOVE". This is very similar to the object move from right clicking and selecting "Move" option in AD users and computers snap-in. It allows to move object from one container to another. In here objectDN refers to the DN of the object which will need to move. targetOUDN refers to the DN of the new parent OU it will need to move in to. The help file will be able to open using dsmove /? 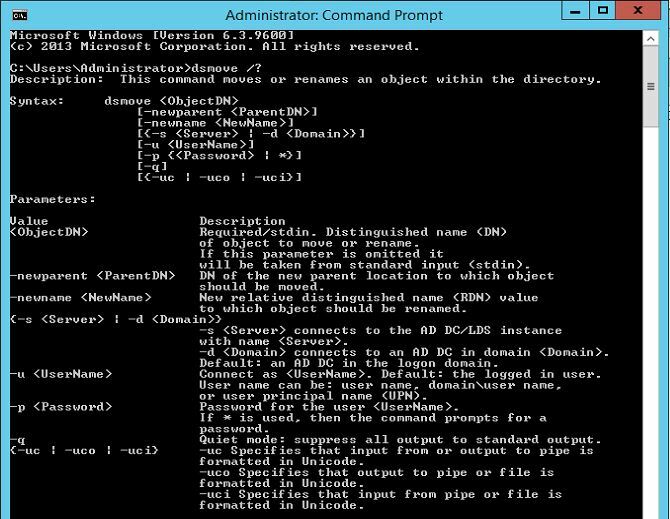 and these commands need to be run using administrator privilege in DC server. the command i will use to demonstrate this will be dsmove "CN=John Smith,OU=Sales Department,DC=contoso,DC=com" -newparent "OU=HR Department,DC=contoso,DC=com" , it will move the user John Smith from Sales Department OU to HR Department OU. Lets check the object before move. Lets run the command and see. So according to it were able to successfully move the object from one OU to another. This is the end of this post and lets look in to another DS command in next post.